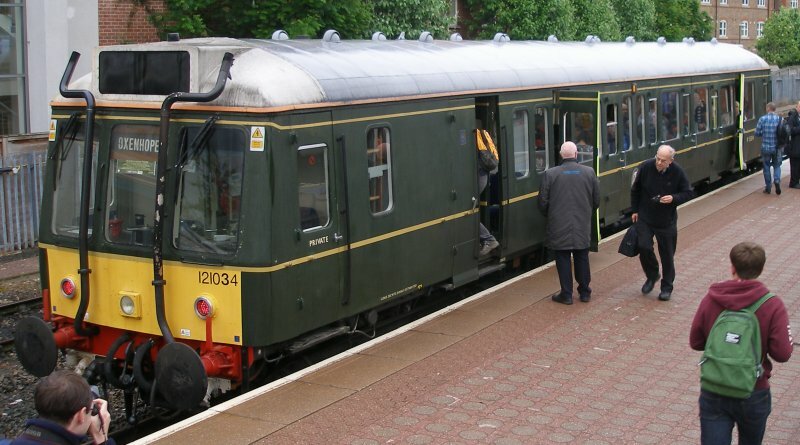 BR's first generation DMU fleet is much missed, particularly for the view that could be had if sitting behind the driving cab. 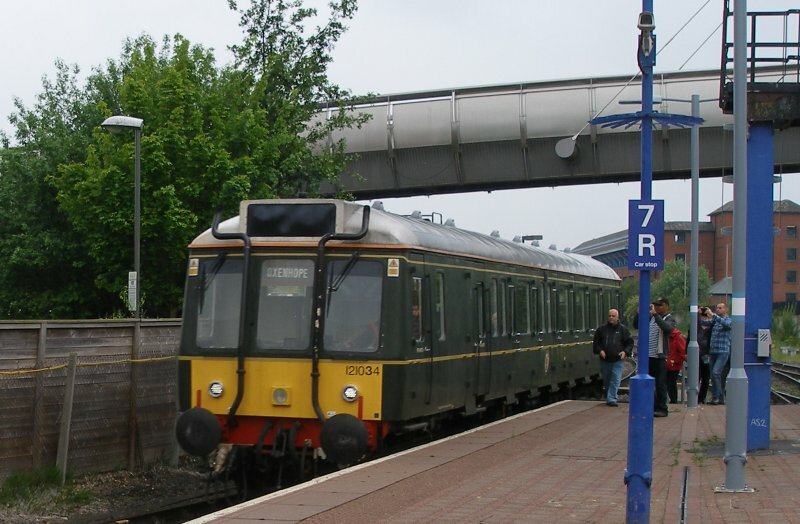 The last of these classic units were withdrawn from the Manchester area in 2005 when the small fleet of Metro-Cammell Class 101s were withdrawn. 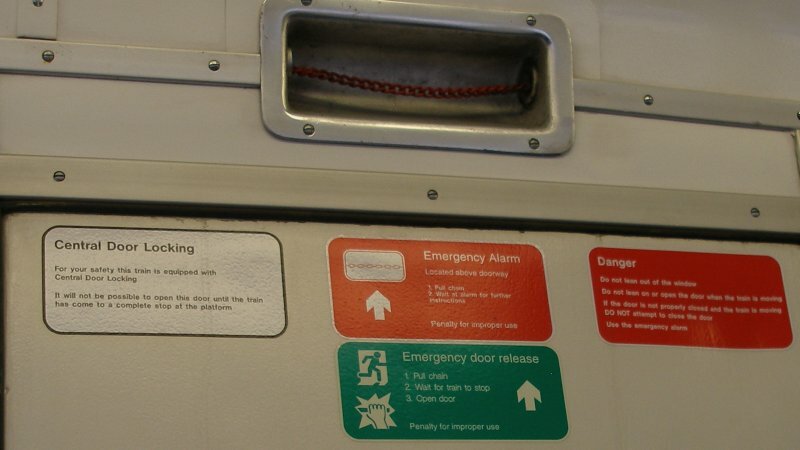 The final 'nail in the coffin' was the need to re-fit the fire extinguisher system, but also other changes to 'group standards' such as the need for centrally-locked doors were also seen as problematical. 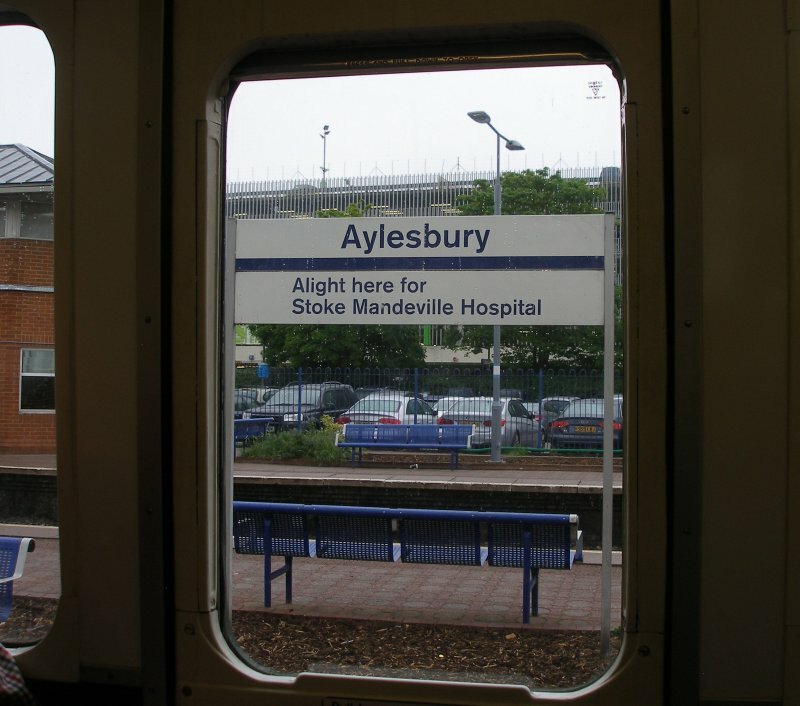 But Chiltern Railways had a problem with its Aylesbury to Princes Risborough branch which needed a train to gently shuttle back and forwards but couldn't spare any of its Turbo stock during the peak service hours. 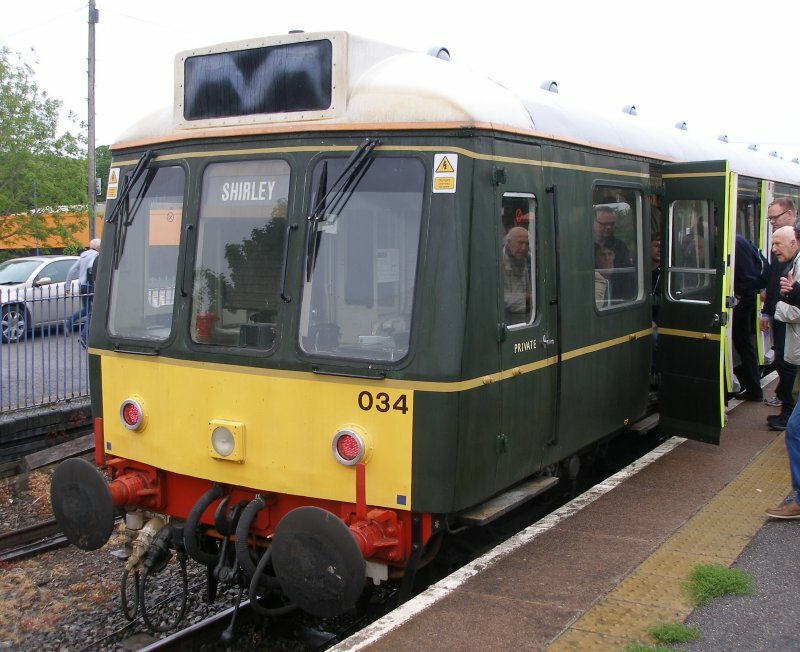 Enter the pair of Class 121 'bubble cars' which were brought out of retirement, refettled, and put into service. They then provided peak hour services from 2004 until 19 May 2017. Sadly, even the most robust and reliable of kit has a limited life span, and a growing maintenance bill has finally decided their fate, with one (the blue one) already withdrawn before the final week with reportedly drive-shaft issues. 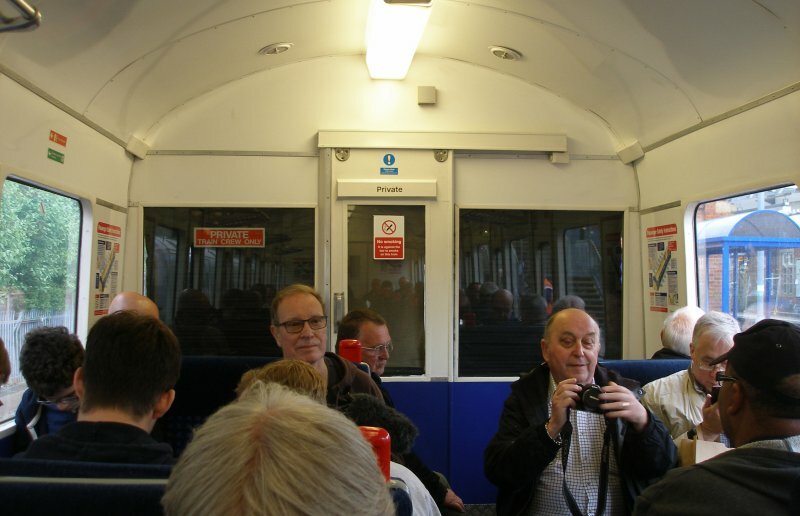 Here is a photo-journey of a trip from Chesham to Princes Risborough taken on the penultimate day, Thursday 18 May 2017. 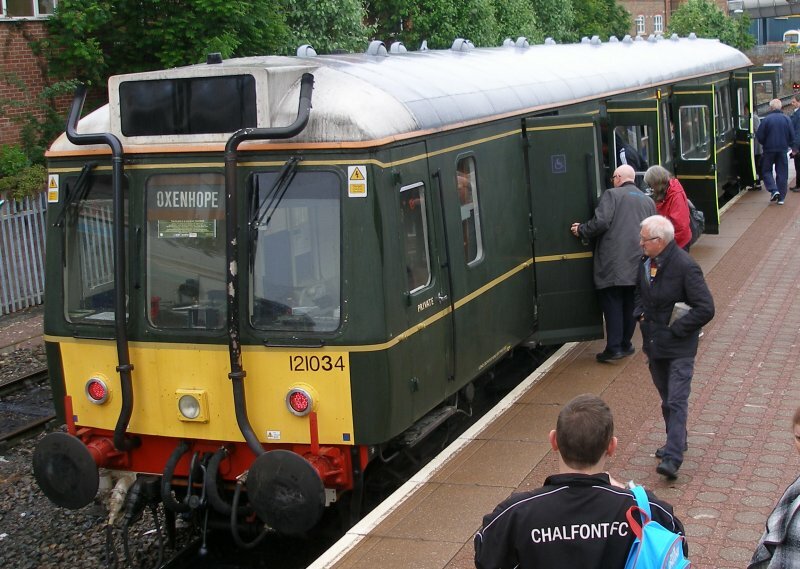 The journey started at Chesham, with the first change at Chalfont and Latimer. 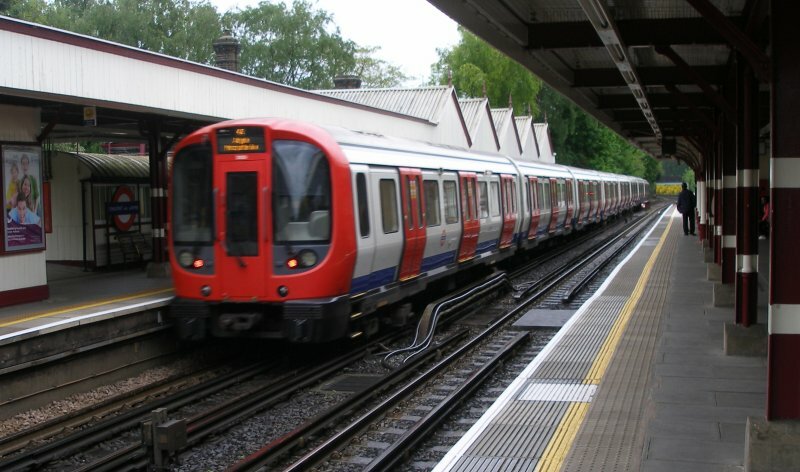 Here the S8 stock train from Chesham is seen departing towards London. The train for Amersham arrives at Chalfont whilst another S8 set approaches the station from Amersham. 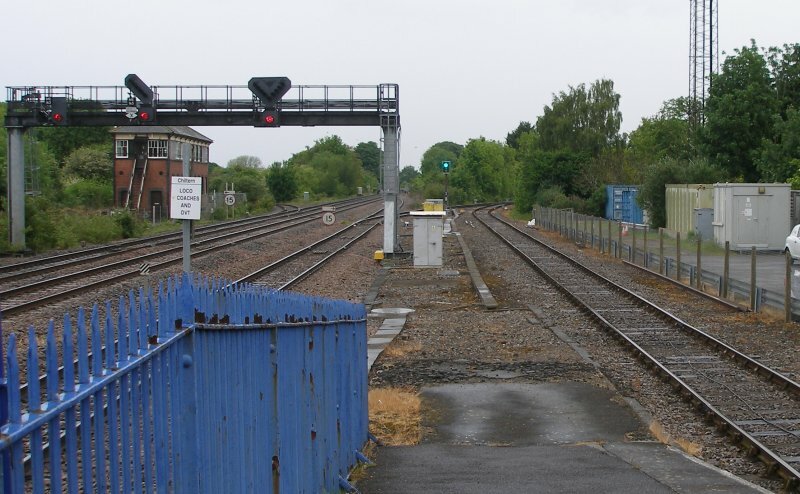 On arrival at Amersham, the S8 set awaits the signal to proceed into the stock sidings at the northern end of the station. 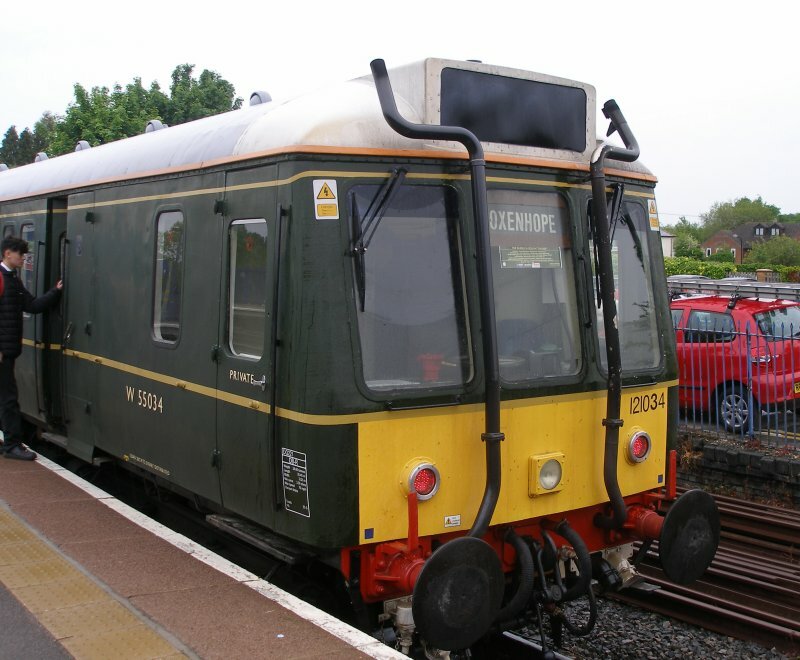 The bubble car 121034 (W55034) was on the Depot access track waiting for Platform 1 to be vacated. Finally, it got the proceed aspect and could enter Platform 1. The 'Oxenhope' destination blind is a tad optimistic. Other destinations were displayed during the day. 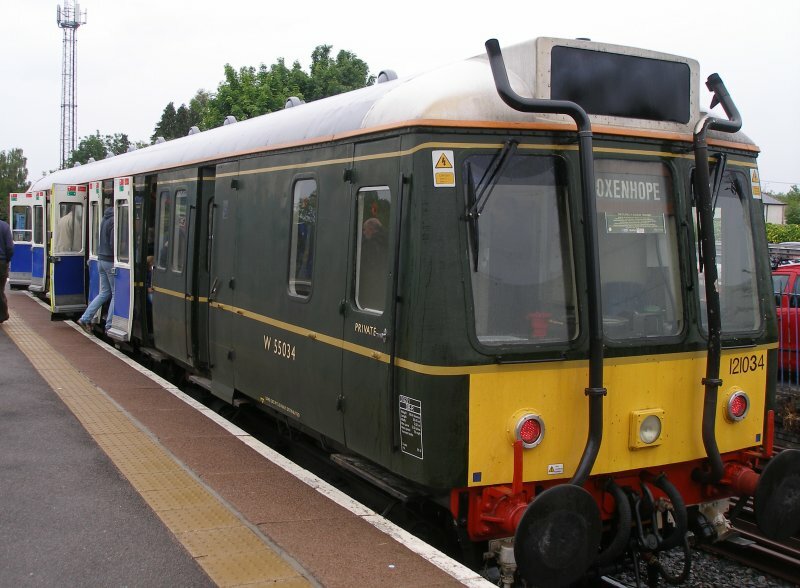 Class 121 W55034 sits in the platform, alongside 168005 of the current fleet of Chiltern Trains DMUs. 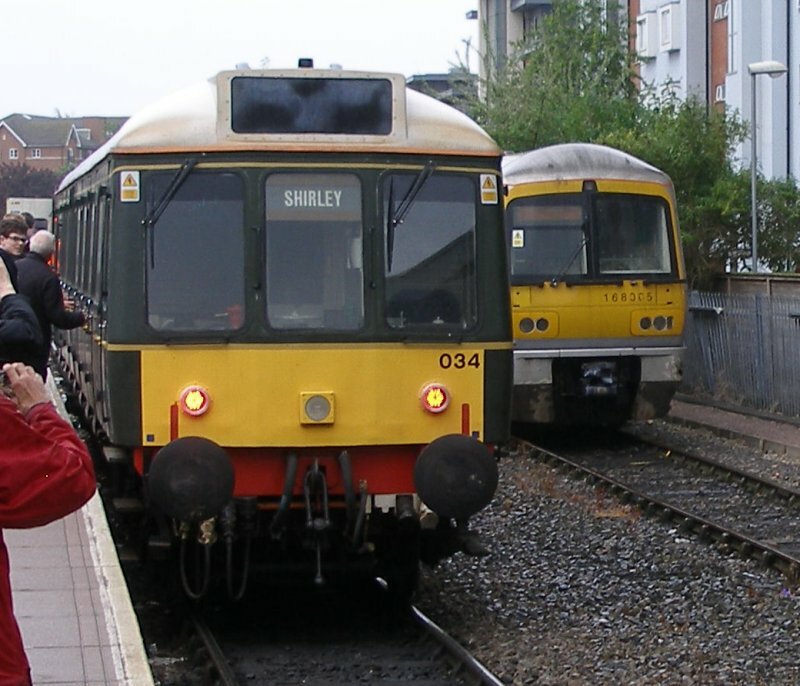 'Shirley' could be a destination...or even the name of the train! 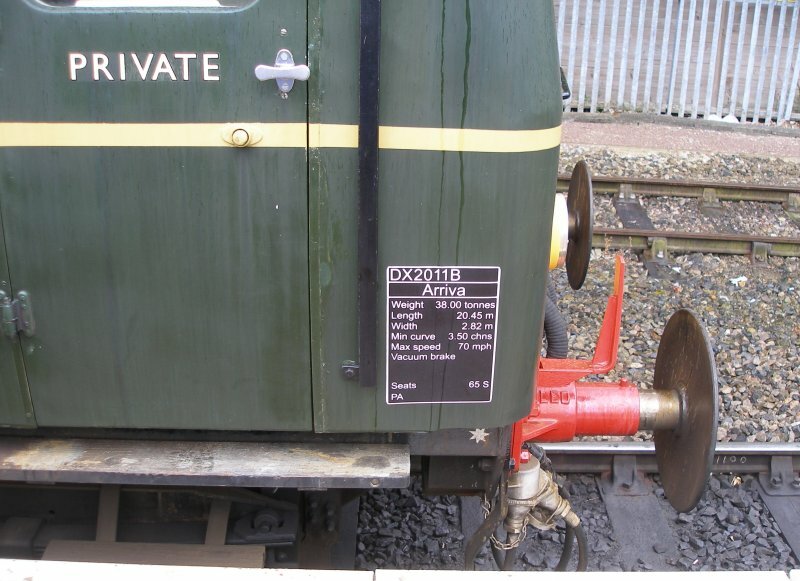 Although the original train, there are a few subtle nods to current standards, as in the notice about the central door locking. 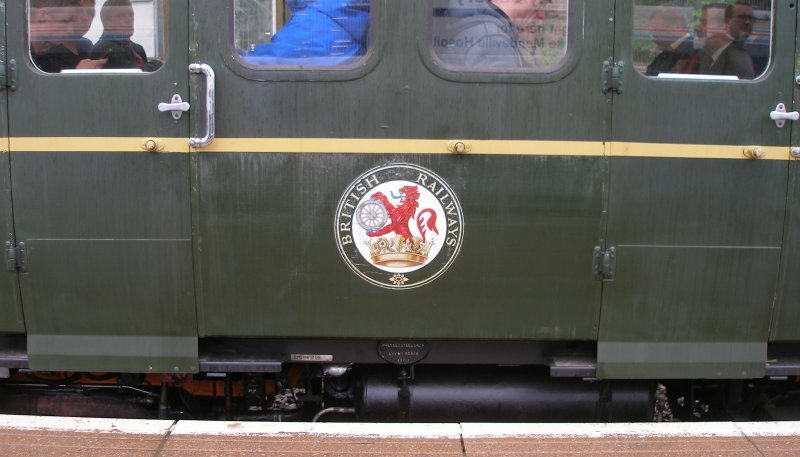 The interior reflects modern Chiltern branding, although the seating reflected a previous age in that it was sprung. None of the modern hard but highly fire resistant nonsense here. 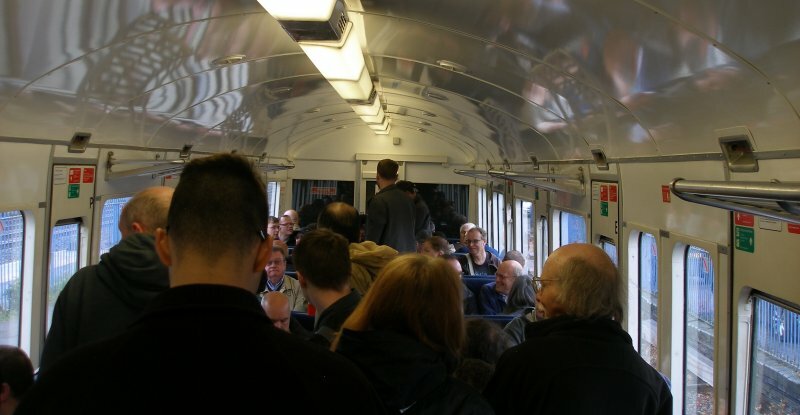 When I travelled on these units on the Greenford Donkey in the 1980s they were already second class only, so the interior felt very familiar. Others have reported they originally had a first class compartment with partition when built. And looking towards the Guard's van. 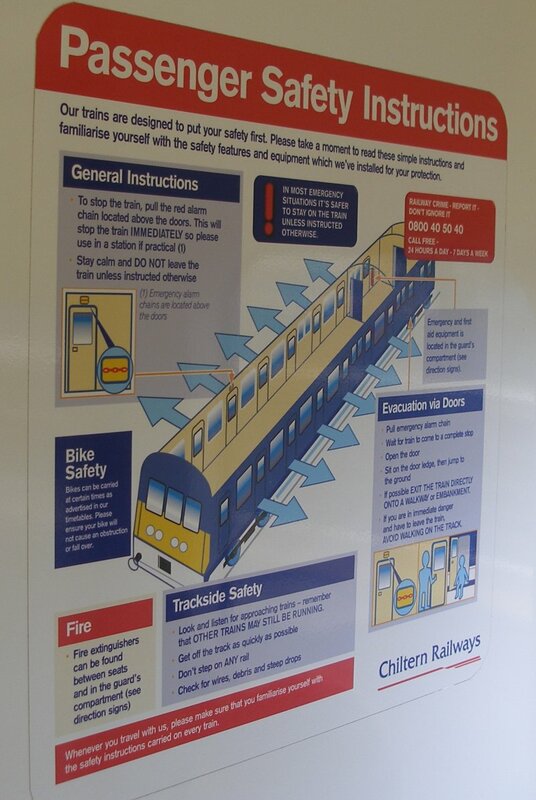 One very useful feature in the current train is the detailed Passenger Safety Instructions. In 1980 it would never have occurred to me to open the door next to the seat I was sitting on... But nice to see one of these prepared for First Generation stock. There was a brief interlude at Princes Risborough. On the return to Aylesbury, there was time to snap some detail shots. A 'back to the future' moment? W55020 didn't come out to play on the Thursday, although in service the following - and final - day. Rumour had it that she is suffering from drive shaft issues but was running as a two-some under power on the final day. 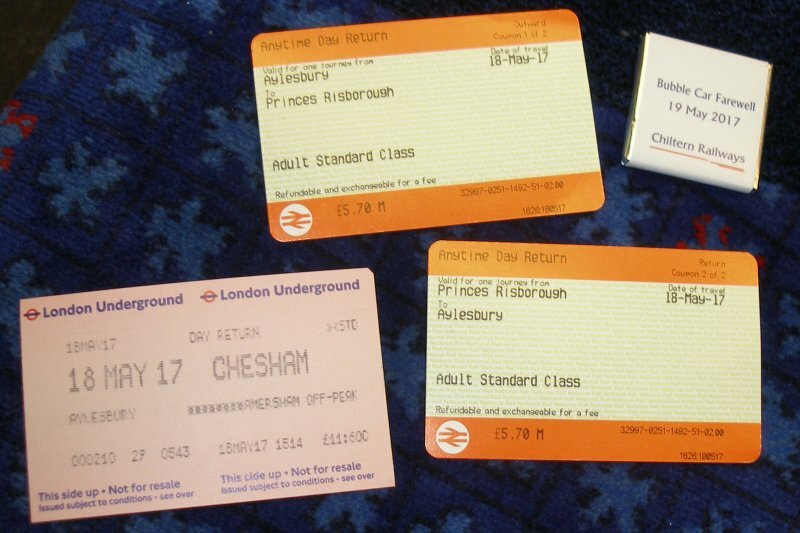 The tickets and chocolate - a nice touch by Chiltern. And a little bit of nostalgia. 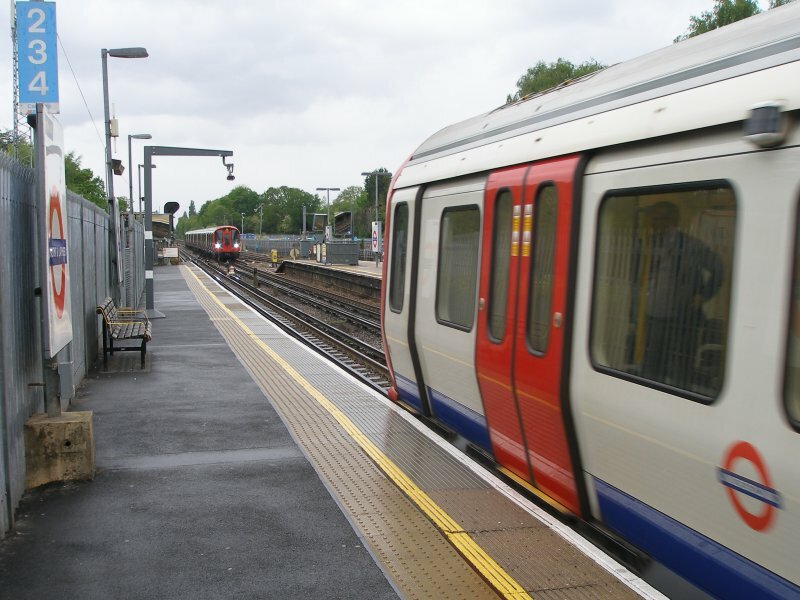 In the 1980s I lived in West Ruislip and worked in Brentford, and it was possible to commute via the Central Line to Greenford and then get the 'Greenford Donkey' to West Ealing. 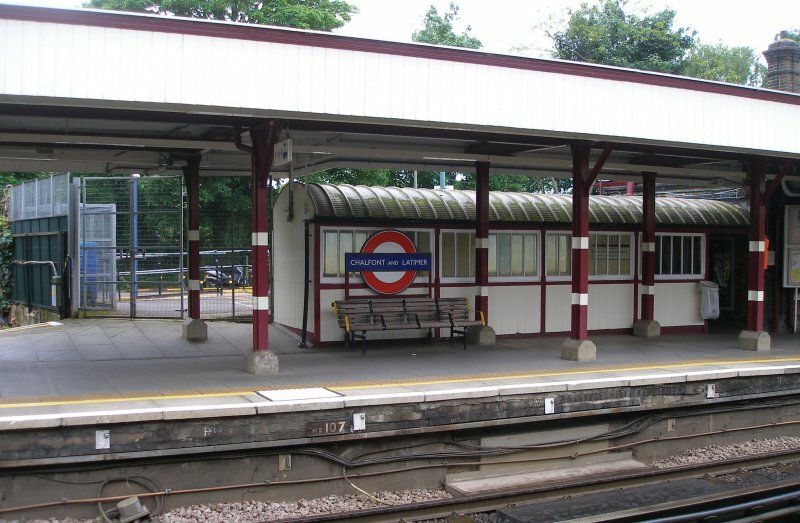 This view was one I remember on the way home, as it was always more difficult to get a seat in the evening peak from West Ealing. It was almost as if nothing had changed, with the steady purr of the diesel engine under the floor and the initial clickitty clack on leaving Risborough. Thank you Chiltern :-). We picked up more people at Monks Risborough. 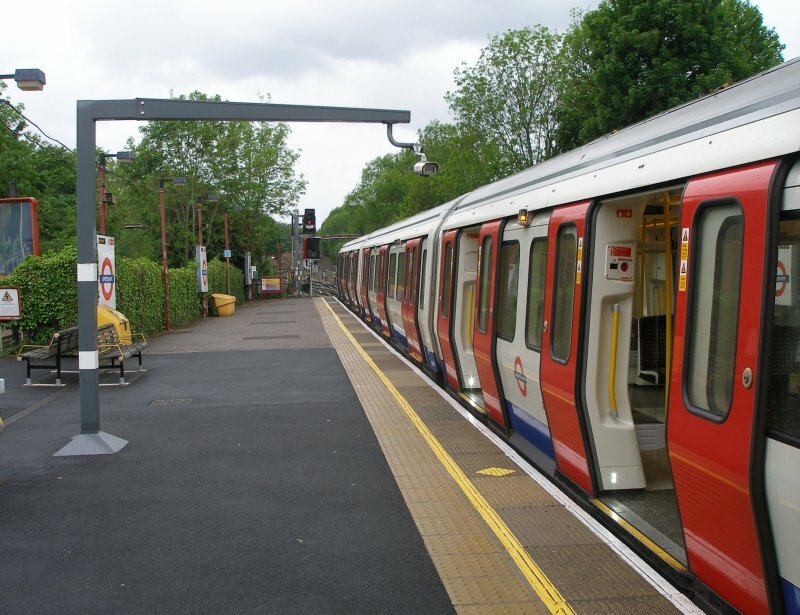 Funnily enough both '20' and '34' have featured on the Greenford line in late 1980s and 1990s.